Spectacular Spring Island Equestrian Estate ~ featuring 5 bedrooms, 5 -+ bathrooms in Main House, Guest Cottage, Studio, Barn & Garage. 4,717 Conditioned square footage, 1,056 additional sq ft 13.26 Acres total, 9 acres in 2 fenced in paddocks, a small holding area, and a 50GÇÖ diameter exercise pen. This Estate combines 2 equestrian lots located on Spring Island, bordered by a nature preserve and 2 riding/walking trails. (Total acreage allows for an additional 5,150 heated sq ft to be built.) If you are seeking nature, privacy, and a place to support your horses in a community providing luxurious amenities, you will find it all here. Designed by Historical Concepts and inspired by the architecture of nearby Savannah, this 3.19-acre estate is comprised of three buildings - the Main Residence flanked by a three-bedroom Guest House and Carriage House. A counterpoint to the formality of the front fa+ºade, the rear of the home embraces the setting with expansive screened porches overlooking the gardens and views the par 5, 4th hole of Old Tabby Links. The dramatic dual cantilevered staircase, formal character and symmetrical orientation of the Main Residence effortlessly unfolds with a welcoming and relaxed spirit of Southern living and hospitality. This custom built Cambridge Builders home is the epitome of Spring Island woven carefully into the landscape overlooking a pond to the 10th green. 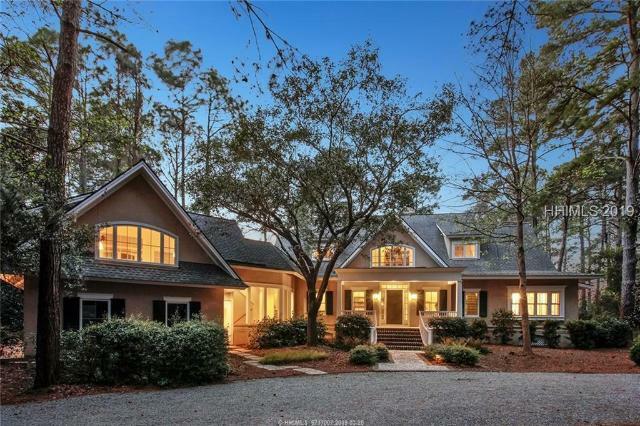 Set on 3+ acres on cul de sac, an amazing home for entertaining w/ chefGÇÖs kitchen, open floor plan & expansive porches. Office with fireplace adjacent to oversized master suite. All guest bedrooms have private baths. Wide plank hardwood floors with 12' ceilings. Short stroll to Spring Island Golf House & Community Garden. 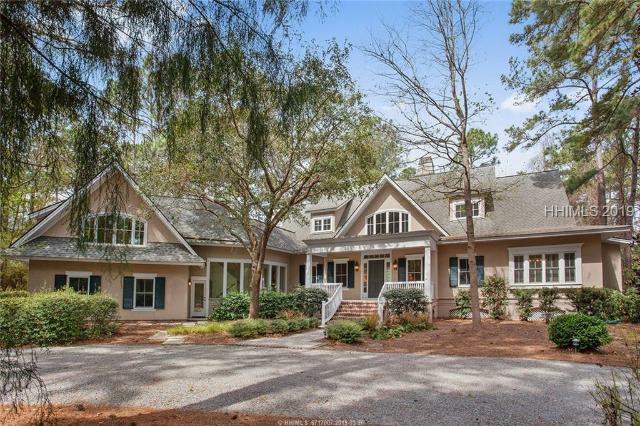 Enjoy Spring Island fabulous amenities, 1200 acres of nature preserves, golf, art, equestrian, shooting, fishing, fitness complex w/ tennis, pool, etc. Something for everyone! 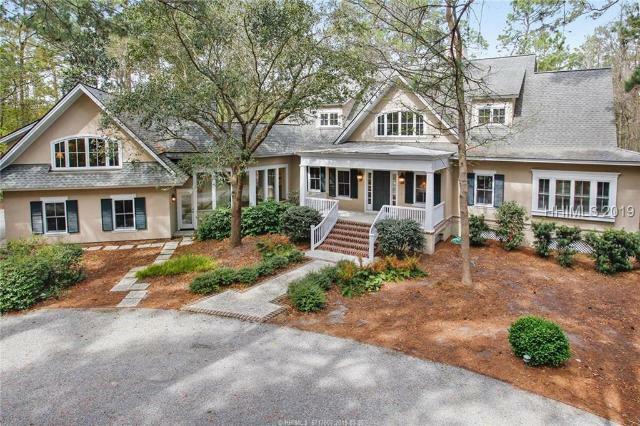 Nestled along the marshes of the Chechessee River, this 2.63 acre estate-sized lot has a water view and high land for building your Spring Island dream home. Between the lot and the river is a salt water pond called Little Sister Pond, which is owned and maintained by the community. The site is located near Bonny Shore Landing's Gazebo (featuring a community dock, fire pit, oyster table) and the top rated Old Tabby Golf Links clubhouse. Ride your golf cart to Walker Landing to enjoy the luxury fitness center, fine dining at the River House, Nature Center, equestrian center and community gardens or walk along the many miles of nature trails. Incredible 1.7 acre estate lot located on Spring Island. Surrounded by unparalleled natural beauty. Property includes Spring Island Equity Membership.